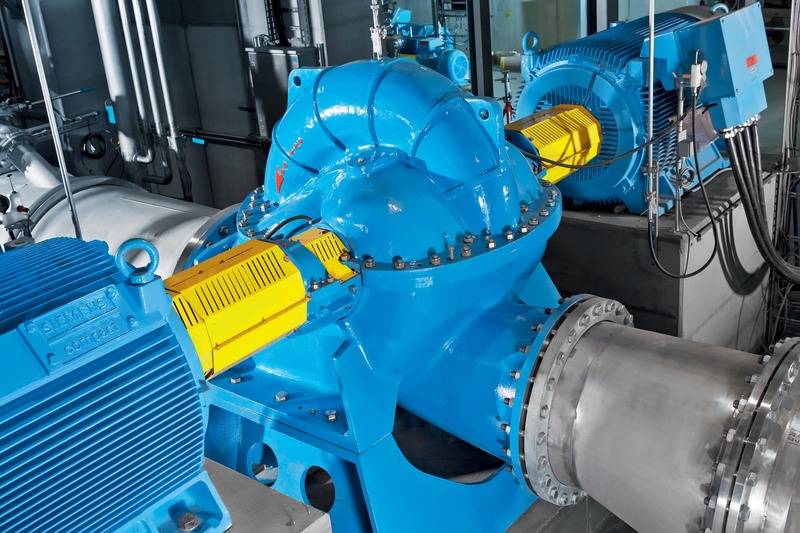 ANDRITZ split case pumps from the ASP series can be used in various fields of applications such as power stations, pulp and paper mills, water and desalination plants. Their construction and design do not only ensure an easy and fast maintenance, but also excellent NPSH values and energy savings. ANDRITZ split case pumps from the ASP series meet the highest customer demands in terms of efficiency, long service life, maintenance friendliness, and economy. With efficiencies of over 90%, they help to save valuable energy. 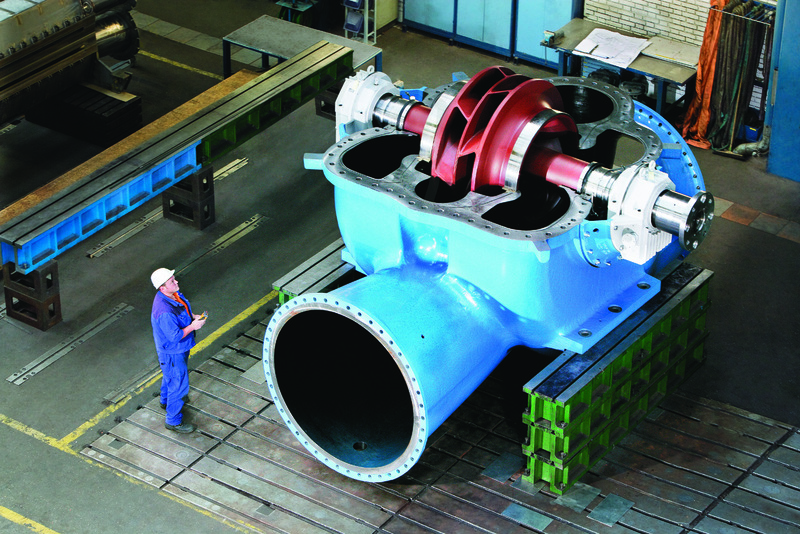 All pumps are fitted with a double-flow radial impeller which achieves very favorable NPSH values. Due to the axial split case design, maintenance is fast and easy. Designed with a double-flow radial impeller and in-line casing, the pump can be horizontally or vertically installed (with horizontal installation, the motor can be placed on the left or right). These pumps can be used in a wide range of industrial processes. In the water sector, ANDRITZ split case pumps operate in water treatment and water supply systems as well as in irrigation, flood control, and desalination. They can also be used as circulation water or cooling water pumps for power stations, industrial plants and district heating networks. As plant and equipment supplier to the pulp and paper industry, ANDRITZ also manufactures spilt case pumps to function as cleaner and headbox pumps. ANDRITZ fan pumps convey stock suspensions with consistencies of up to 2%. They are characterized by low pulsation and very high efficiencies. For more information on our split case pump please have a look at our brochures in the sidebar or contact us directly. The ANDRITZ ASPH pump is a double-flow, single-stage, axial split case pump, specially developed for the high strength and long lifetime requirements in district heating networks and for other applications with high-temperature media. This is a robust and yet highly efficient pump that has been developed to meet customer-specific requirements. Thanks to the excellent efficiencies, which are above the average in the industry, and the adjustable speed of these pumps, the ASPH series features low energy consumption. The concept is a very stable one, and the machine is sized and designed to withstand all load cases that might occur during the lifetime of the pump. For more information on our ASPH pump please contact us directly.